Canoe Mike in his workshop. 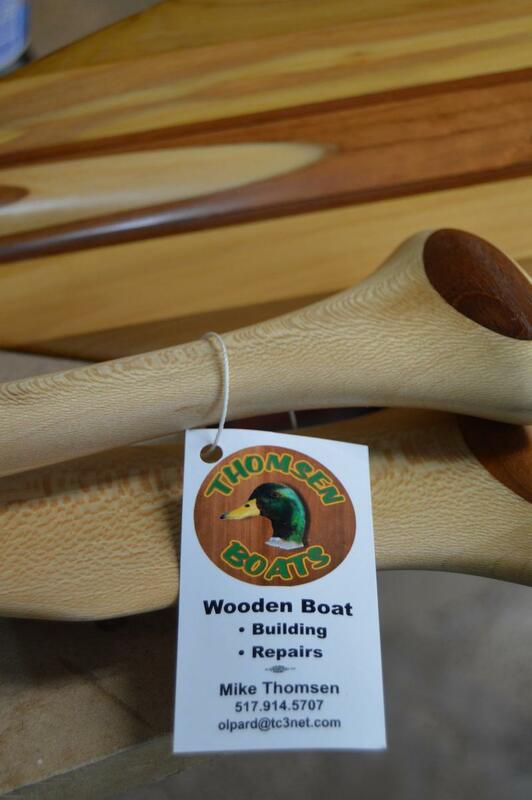 Thomsen started on this line of work after talking to a coworker in Maine who had built five canoes. 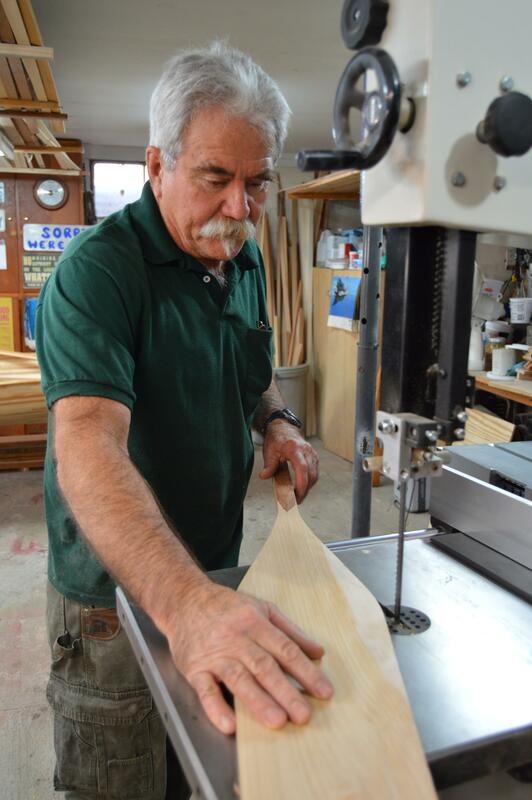 Thomsen builds canoes most of the time, but his latest finished project is more like a rowing shell. 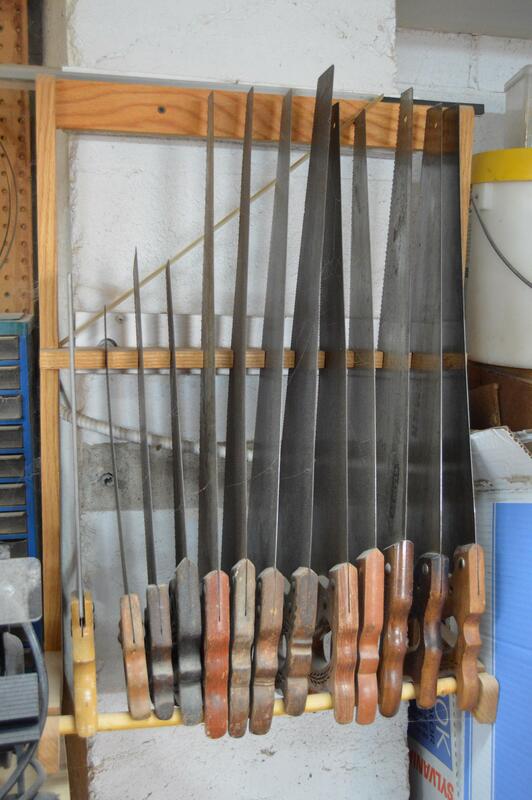 The oars are made out of red wood, which Thomsen says makes them lightweight. Thomsen built four boats his first year out of retirement. But he says he’s not going to do that again. It ate up all of his fishing time. Now, he makes one boat during the winter. The rest of the time, he’s found something that's a little easier to manage. Thomsen says you can drop by, talk with him while he works, but most of the time he likes to work alone. Thomsen says he’ll build a canoe or boat for the various shows or display at big stores, but he’d rather a costumer just tell him what they want and he’ll build it.